Hearing my students cheer and ask for more math makes my teacher heart sing! 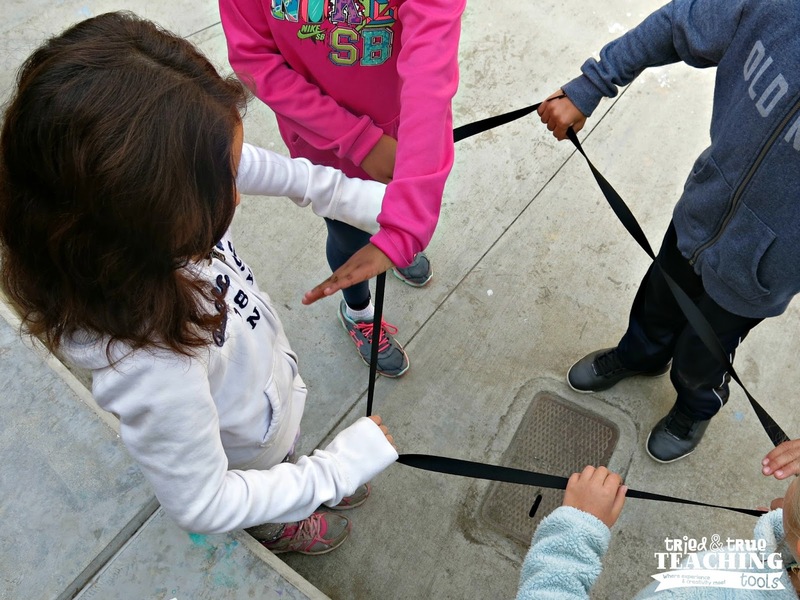 Why do my kids love geometry? 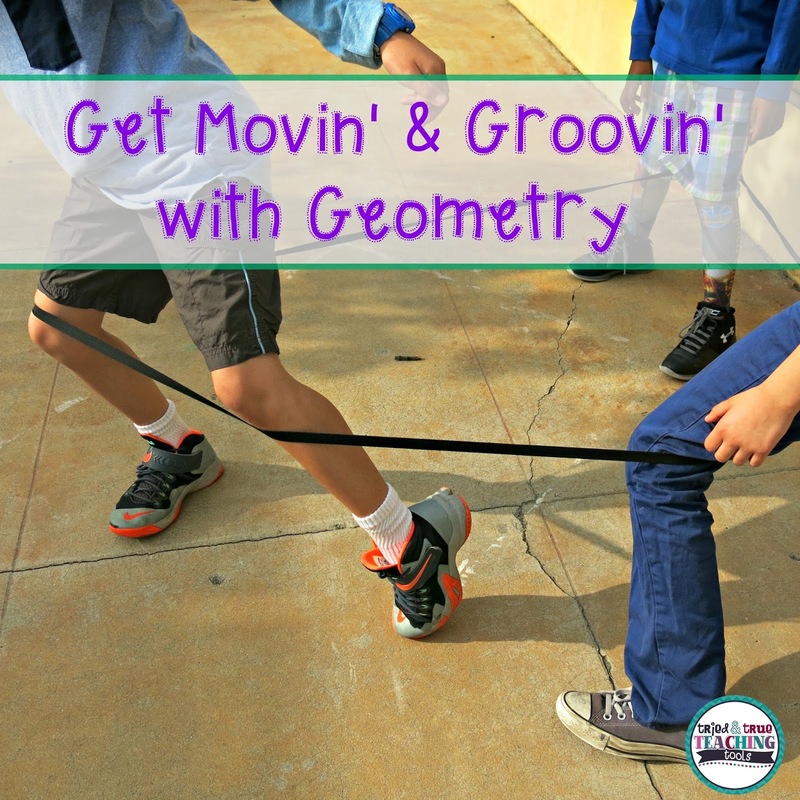 We get movin' & groovin' with geometry! Years & years ago, I sewed wide strips of elastic to form giant bands. (It just dawned on me TODAY that instead of spending all that time sewing (?!) Chinese jump-ropes would work just as well!! I saw them on Amazon & Oriental Trading) Anyway. . . I love the higher level thinking these elastic bands lend themselves to: geometric proofs! 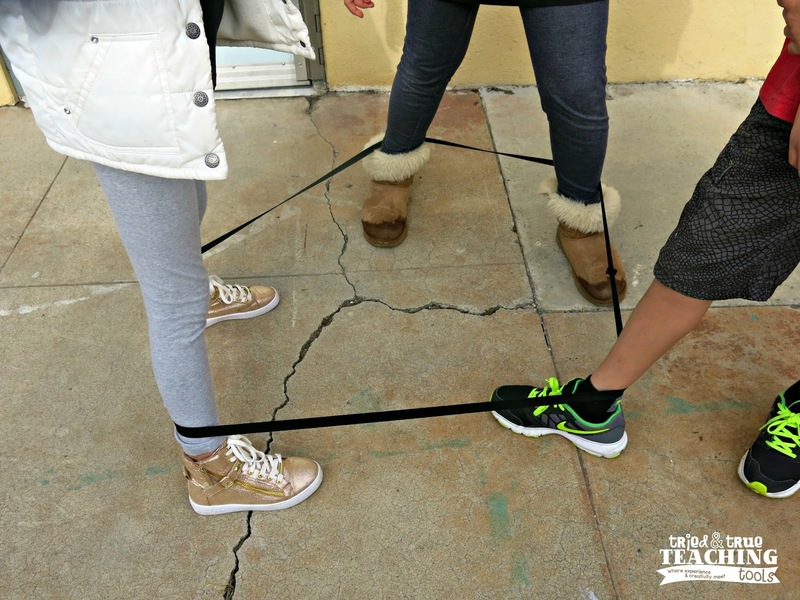 A group of three to four students each have one elastic band and as I call out various shapes or angles, they have to use their body parts to form the geometric term. My one rule is that each student in the group has to be touching the band. This becomes tricky when there are more sides than arms or legs! They have to get creative! To prove this is a pentagon, students need to describe the attributes while counting the 5 sides and 5 angles. 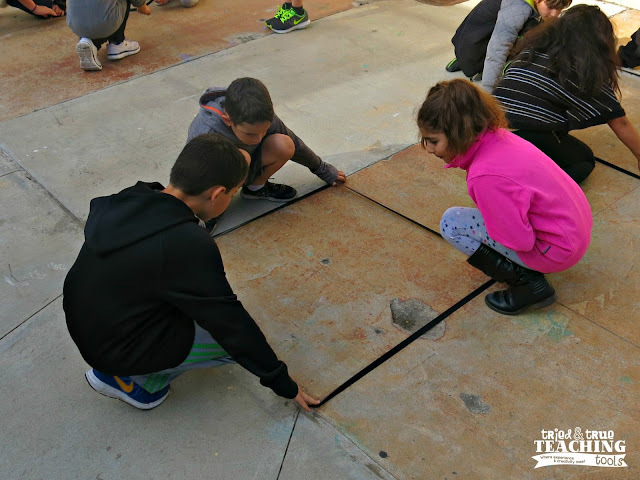 I love how some of the kids realized they could prove their polygon had a right angle by lining it up with the corner of the cement square on the ground! The language and conversation between kids as they explain, argue, and form each shape or angle is fantastic to eavesdrop in on! I sure wish I had done something like this when I took high school geometry! :) How do you teach students the relationships and attributes of geometric figures? I love this. What a great idea! Thanks! You're welcome :) The kids LOVE this too & always want me to challenge them with harder shapes & angles!